4 Bedroom Terraced House For Sale in London for Asking Price £1,175,000. 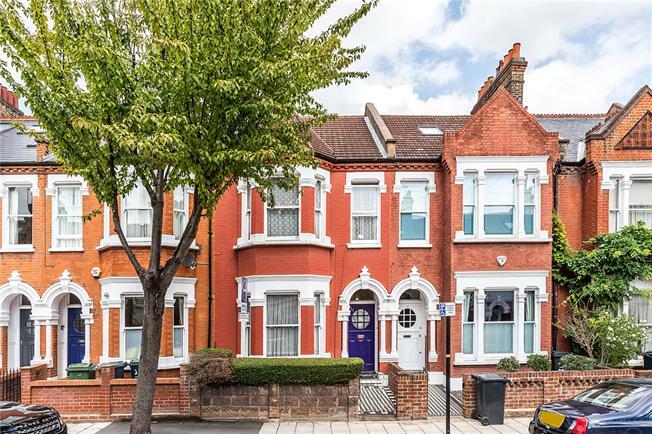 Set on a fantastic road just off Clapham Common is this wonderful four bedroom Victorian house. Having been owned by one family for over fifty years, this house has many of the original period features and is, to a large degree, in its original state. The property offers not only a fantastic opportunity to refurbish but the scope to extend on the ground floor and into the loft (STPP), which would create a house well in excess of 2,000 sq ft.
Englewood Road is a very pretty tree lined street with symmetrical architecture all the way down. The house is less than 200 meters from Clapham South tube station (Northern Line), Clapham Common and the vast array of shops, restaurants and cafes that line Balham Hill. For an even greater variety of amenities the ever popular Abbeville Road is also just 300 meters away. There is a large collection of excellent primary schools in the vicinity with Oliver House, Alderbrook, Thomas's and Hornsby House all nearby.